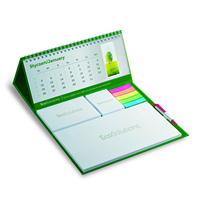 Calendars are one of the most traditional, desktop, promotional items, brought right up-to-date in combination with printed sticky notepads and page markers. Providing all the features of the traditional item, alongside the modern adhesive products. 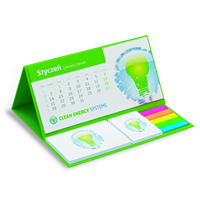 Available in a range of formats, sizes and product finishes, these products will keep brand or company names in front of customers throughout the year.